My significant other decided to try her hand at stuffed mushroom caps, with spinach, sundried tomatoes, garlic, ricotta, and mozzarella on top. 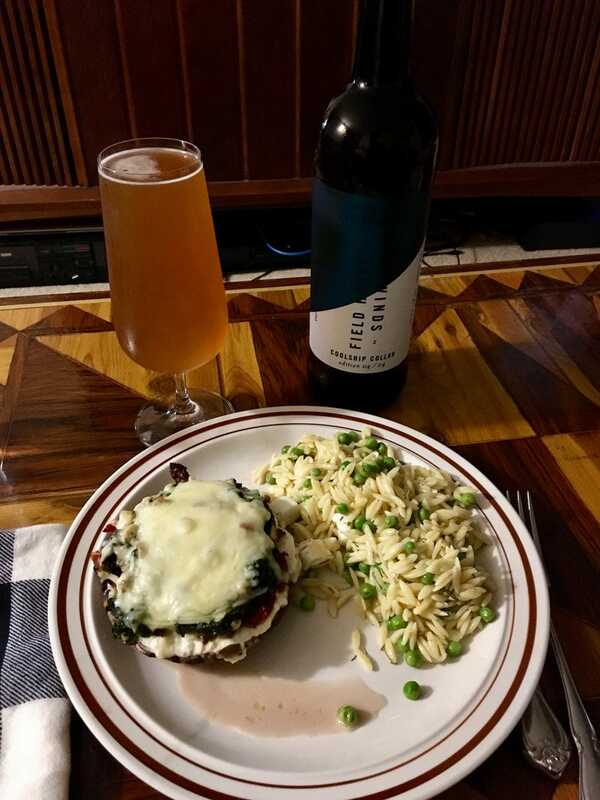 Orzo with peas and feta on the side. The beer is a collaboration between Fieldhouse and Four Winds, two of the best local breweries. It’s a farmhouse ale, and it’s magnificent.